Skin lesions include any growth on or underneath the skin. These lesions can occur anywhere on the body. Patients in Conroe and the Woodlands may become concerned that the lesion is cancerous, and the location of the lesion may cause social embarrassment, particularly when they occur on the face. Are There Different Types of Skin Lesions? Although some lesions can be correctly diagnosed with a good history and clinical exam, a biopsy is usually required for pathologic identification and diagnosis. How Are Skin Cancer and Skin Lesions Removed? Electrodessication: This type of treatment can be successful in removing the skin cancer or lesion, but the healing process may take weeks to complete by allowing the area to heal on its own and can leave an unsightly scar. Curettage and electrodessication also do not provide a specimen for pathologic examination and, therefore, does not ensure that the cancer has been removed completely. Shave or punch biopsies: A small segment of the skin is removed and sent for diagnosis. The downside is that results will take a few weeks to come back and entail an additional procedure if it is positive for cancer. Excisional biopsy: This procedure can be performed to not only provided diagnostic information but at the same time remove the lesion completely. A plastic surgeon should perform these excisional biopsies to remove small skin cancers and lesions to control scarring on visible portions of the body and face. Scar formation is concerning to most patients. Dr. Myers prefers excisional biopsies and using sutures to close the biopsy site so that the final scar falls into the patient’s natural skin creases or wrinkles leaving them with a less noticeable scar. For larger skin cancers or lesions, Dr. Myers employs techniques such as full-thickness skin grafting and/or adjacent local flaps after the lesion has been removed to resurface the area. What Can I Expect At My Skin Cancer/Lesion Removal Consultation With Dr. Myers? Evaluation of the remainder of you skin. Photographs for the medical record and operative planning. A discussion of different treatment options and their risks and benefits. Review of the individual outcome of your surgery based on the condition of your skin lesions and cancer. In preparation for the consultation, you should inform Dr. Myers of medical conditions, past surgeries, drug allergies, and any physicians that you are currently seeing for medical care. Will My Insurance Cover My Skin Cancer/Lesion Removal? Most health insurance companies cover removal of skin cancers and lesions. However, some insurance plans may exclude treatment by a plastic surgeon. Please carefully review your health insurance subscriber-information pamphlet. What Are Some Of The Most Common Risk Involved With A Skin Cancer/Lesion Removal? Every surgical procedure involves a certain amount of risk, and it is important that you understand the risks involved with a skin cancer/lesion removal. An individual’s choice to undergo a surgical procedure is based on the comparison of the risk to potential benefit. Although the majority of patients in Conroe and the Woodlands do not experience the following complications, you should discuss each of them with your plastic surgeon to make sure you understand all possible consequences of skin cancer/lesion removal. Dr. Myers will discuss any additional complications that are possible during your consultation. In cases of suspicious skin lesions and skin cancer, the potential for malignancy poses a much greater risk than the risks of surgery. Are There Any Special Instructions To Follow After Surgery? Dr. Myers will give you a detailed list of instructions regarding your recovery after your skin cancer/lesion removal. You will be seen in the clinic the next day after your surgery. You will probably feel somewhat tired and sore for several days following the operation, and the surgical site may remain swollen and numb for a month or longer. 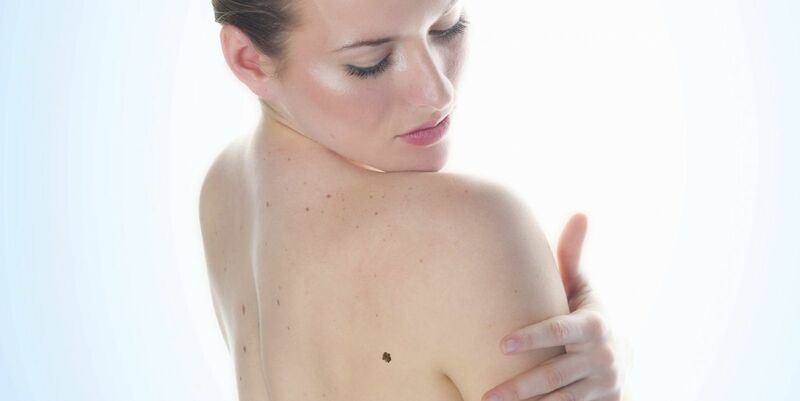 Skin cancer/lesion removal can usually be performed on an outpatient basis. This means that you go home the same day as surgery. You will need someone to drive you home from the surgery. Dr. Myers recommends that someone stay with you for the first night after your skin cancer/lesion removal if you need help. You will most likely be able to return to work within a few days. Dr. Myers recommends that you avoid any strenuous activities that could raise your pulse and blood pressure for several weeks to allow your body time to heal. Call Dr. Myers today at (936) 539-8115 to schedule your free consultation.